Medical and Psychological Anthropology; Cultural influences on mental health and healing; Self and narrative; Embodiment and mind-body interaction; Psychophysiology and cultural neuroscience; Latin America; Immigrant and refugee mental health; Ritual. 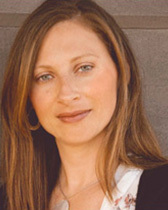 Rebecca Seligman is a medical and psychological anthropologist who focuses on transcultural psychiatry, or the study of mental health in cross-cultural perspective. Her research interests involve critical examination of the social and political-economic forces that affect the experience and distribution of mental and physical illness, with an emphasis on the physical processes and mechanisms through which such forces become embodied. Seligman is interested in the relationships of stress, social disadvantage, and cultural models of selfhood to outcomes such as post-traumatic stress disorder (PTSD), dissociation, somatization, diabetes, and depression. She is also exploring current neurobiological research concerning these phenomena. Her past research has explored the connection between mental health and religious participation in northeastern Brazil. Her book on this research was recently published. Her current research focuses on mental and physical health disparities among Mexican Americans. This includes research on the links between diabetes and depressed affect among Mexican Americans, and in particular, the relationships among negative emotion, social relationships, and blood sugar. She has found that emotion and diabetes control are tightly linked in the experience of Mexican Americans, and that patients of Mexican origin hold different models of selfhood than the kind demanded by clinical models of diabetes self-care. In addition, Seligman is working on a project investigating mental health and psychiatric treatment among Mexican American youth. Epidemiological research suggests that these youth are disproportionately vulnerable to depression, anxiety, and suicidality. Seligman’s project examines how sociocultural influences on the ways in which Mexican American youth conceptualize and experience their emotions, relationships, and sense of self affect help seeking and the experience of mental health care. Seligman’s recent publications include a book entitled Possessing Spirits and Healing Selves: Embodiment and Transformation in an Afro-Brazilian Religion. Before joining Northwestern's faculty, Seligman completed a postdoctoral fellowship, funded by Canadian Institute of Health Research, in McGill University's psychiatry department. Her work has been published in academic journals in the fields of health, psychiatry, and anthropology, and was featured in the magazine Discover. The National Science Foundation and the National Institutes of Health have provided support for her research. Chiao, J., Seligman R., S. Li, and R. Turner eds. 2015. Oxford Handbook of Cultural Neuroscience. Oxford: Oxford University Press. Seligman, R., Choudhury S., and LJ. Kirmayer. 2015. Locating Culture in the Brain and in the World: From Social Categories to an Ecology of Mind. In Oxford Handbook of Cultural Neuroscience. Oxford: Oxford University Press. Seligman, R., E. Mendenhall, M. Valdovinos, A. Fernandez, and E. Jacobs. 2014. Subjectivity and self-care among Mexican Americans with Diabetes. Medical Anthropology Quarterly. Seligman, R. 2010. The unmaking and making of self: Embodied suffering and mind-body healing in Brazilian Candomblé. Ethos 38(3): 297-320. Mendenhall, E., Seligman, R., Fernandez, A., and L. Jacobs. 2010. Speaking through diabetes: Rethinking the significance of lay discourses on diabetes. Medical Anthropology Quarterly 24(2): 220-39. Seligman, R., and R. Brown. 2009. Theory and method at the intersection of anthropology and cultural neuroscience. Social, Cognitive, and Affective Neuroscience doi:10.1093/scan/nsp032. Seligman, R., and L. Kirmayer. 2008. Dissociative experience and cultural neuroscience: Narrative, metaphor, and mechanism. Culture, Medicine, and Psychiatry 32(1): 31-64.